In high medieval France, men and women saw the world around them as the product of tensions between opposites. Imbued with a Christian culture in which a penniless preacher was also the King of Kings and the last were expected to be first, twelfth-century thinkers brought order to their lives through the creation of opposing categories. 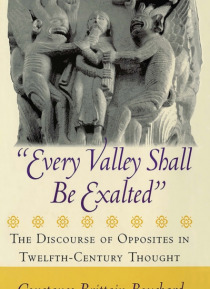 In a highly original work, Constance Brittain Bouchard examin… es this poorly understood component of twelfth-century thought, one responsible, in her view, for the fundamental strangeness of that culture to modern thinking.Scholars have long recognized that dialectical reasoning was the basic approach to philosophical, legal, and theological matters in the high Middle Ages. Bouchard argues that this way of thinking and categorizing-which she terms a "e;discourse of opposites"e;-permeated all aspects of medieval thought. She rejects suggestions that it was the result of imprecision, and provides evidence that people of that era sought not to reconcile opposing categories but rather to maintain them. Bouchard scrutinizes the medieval use of opposites in five broad areas: scholasticism, romance, legal disputes, conversion, and the construction of gender. Drawing on research in a series of previously unedited charters and the earliest glossa manuscripts, she demonstrates that this method of constructing reality was a constitutive element of the thought of the period.